Under current legislation, the US government allows homeowners a 30% energy tax credit against the cost of a geothermal heat pump. Keep in mind that a tax credit is more valuable than a tax deduction because it works on a dollar per dollar basis rather than a percentage basis. Operating a geothermal home heating and cooling system saves money spent on energy bills and it is also recommended by green construction consulting companies. Is it right for you? Lets look at what this technology is. Even though the summer, fall, winter, and spring seasons cycle like clockwork, the average temperature in the top 10 of the earths surface, in many regions, remains remarkedly constant at 50° to 60° Fahrenheit (10° to 15.5° Celsius for our Canadian and European neighbors). 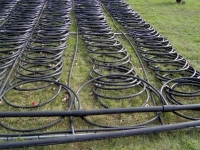 Are Geothermal Heat Pumps Environmentally-Friendly? Glad you asked. In a word, very. The EPA (Environmental Protection Agency) tells us that theyre the top environmentally clean, energy-efficient, and cost-effective, systems currently on the market in the residential cooling and heating arena. A commercial geothermal unit releases 97% less material for acid rain than a fossil fuel plant does. Geothermal uses zero fossil fuel. A commercial plant releases less than 1% of the amount of carbon dioxide emissions than a conventional plant does. Is Geothermal a New Heating and Cooling Technology? No. As a matter of fact, these heat pumps have been used since about the early 1940s. Their appeal has risen corresponding to the upwardly spiraling energy costs. These fuels include electricity produced with a primary fossil fuel, processed heating oil, and natural gas. First, you need a certified installer; this is not usually a DIY project. 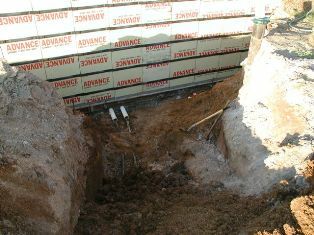 He or she will bury an open or closed polyethylene pipe loop either vertically or horizontally. In some cases, the situation calls for a compact horizontal Slinky type configuration. The loop is filled with an environmentally safe antifreeze/water solution in the proper ratio. The purpose of the loop is to act as a heat exchanger. During the hot summer, the unit retrieves warmer air from the residence and routes it through the buried tubes, where the air gives up its heat (remember high school physics? There is no cold, just an absence of heat!). The opposite situation occurs during the cold (no heat) winter. The same ductwork as used with a conventional central air conditioner/heater is used to distribute the air. Shopping around for a unit can be perplexing; they are also known as water-source heat pumps, geo-exchange devices, ground-source units, and earth-coupled units. Whatever the salesman hypes it up as, the systems perform 3 functions, heating in winter, summer cooling, and assisting in heating water! Coupling one with a tankless water heater will really pay off in short order. First, look for the Energy Star label. Next, look for the Coefficient Of Performance (COP). This is defined in BTU units (British Thermal Unit) and ideally should be 2.8 or above. The Energy Efficiency Ratio (EER) should be a minimum of 13. Heat pumps are a long term investment. Shelling out a bit more capital up front should be easy to justify. Energy savings when swapping out from a conventional central air conditioner/heater can be expected to range from 30% to 60% annually.